Our signature recruiting event, the SICE Career Fair introduces you to a lot of promising job and internship candidates. Held in the fall and in the spring, the fair is open to all SICE undergraduate and graduate students. Other IU Bloomington students whose skills and interests make them a good fit for a career in technology may also attend. While you’re here for the Career Fair, participate in these events to help SICE students and meet more great candidates. Organizations in the Accelerator Corporate Giving Program attend a council meeting, talk with faculty and staff, and meet high-achieving SICE students. The tables are turned: student organizations will have booths, and you get to walk around, network with the organizations’ leaders, and discuss ways to collaborate. Join us for an informal event where you can network with SICE faculty and discuss trends and developments in education and in industry. Interview promising candidates you meet at the Career Fair. We’ll give you a blank schedule that you can use as an interview sign-up sheet at the fair. The most important opinions about any resume come from the employers who review them. In 20-minute, one-on-one sessions, critique our students’ resumes and offer tips for improvement. 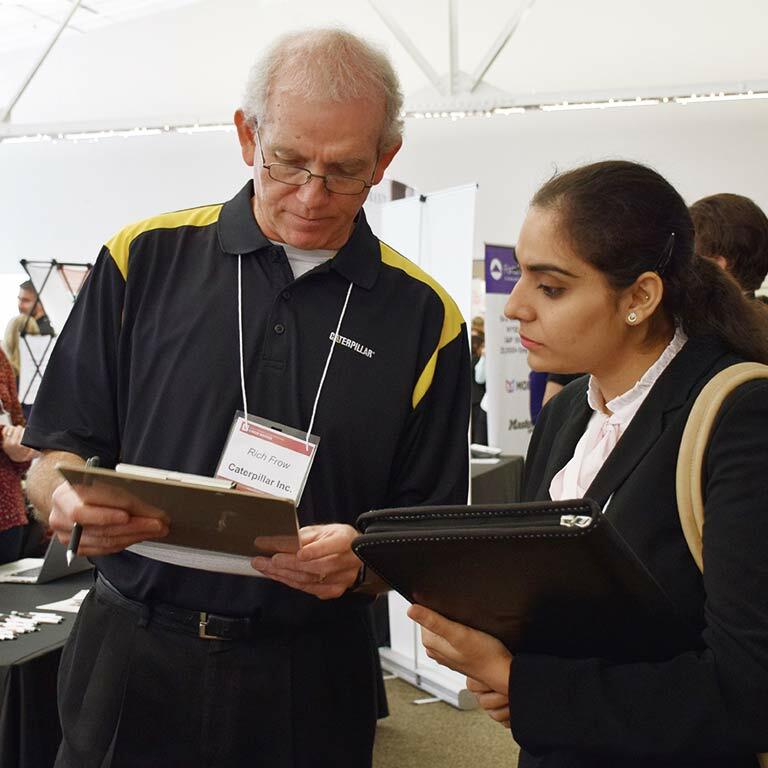 All registration fees include an eight-foot-long table for your display, a black table covering, parking, wireless internet access, lunch for up to four recruiters, and a company listing online and in the event guide. Because space is limited, you can register for only one display table. We will sell additional tables if space is available. If you’re interested in having an additional table, email Carleigh Hannon at hannon@indiana.edu. Send cancellations to Carleigh Hannon at hannon@indiana.edu to be eligible for a refund (less a $20 processing fee for paid registrations). After you register, you’ll receive a copy of our Recruiters’ Guide, which includes information about shipping, lodging, and more. Email Carleigh Hannon at hannon@indiana.edu.